Welcome to Blessed Moments Birth Services! Congratulations on your little blessing! I believe every baby is a miracle, designed for you by the Creator and placed into your family to bless both parents and child. My desire is to serve families in this special stage of life. I firmly believe that a woman’s body was created to give birth. The amazing design of our bodies, the complexities of the birth process, and the intricate link between mom and baby all testify to an incredible blueprint that works beautifully the majority of the time. I also believe that every woman should be supported and encouraged to have the best possible birth as she envisions it. For that reason I am happy to support both medicated and unmedicated birth in the setting of your choice. I believe birth involves the whole person: body, spirit, mind, and emotions, and have the tools to help you with every aspect of the birth process. I am very grateful to live in a time with life-saving medical technology. When the birth journey deviates from the ideal mom envisions, my goal is to come along side to help make the best of the new situation and to be a source of information and comfort for parents. Blessed Moments Birth Service is for educational and informational purposes only and is not a substitute for primary medical care from your provider. 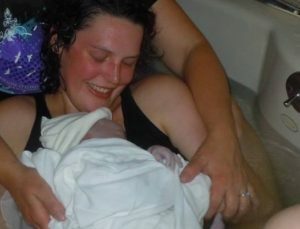 Blessed Moments Birth Service operates solely under the scope of practice of the certifying agency. Always check with your Primary Care Provider to be sure that you are doing what is best for you and your baby.